love the dual-sim options. can have two numbers each for my wife and gf! in for 1. thanks dealsea. you are in for a spectacular disaster of mixing the two... //@Anonymous: love the dual-sim options. can have two numbers each for my wife and gf! in for 1. thanks dealsea. It says latin america variant.. Does it mean the power adapter wont work in US ? Power adapter would not be a big issue. May be some of the US LTE bands are not available? //@Anonymous: It says latin america variant.. Does it mean the power adapter wont work in US ? 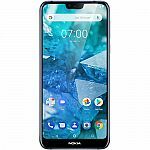 Amazon / BHPhotoVideo / Newegg has Nokia 7.1 Dual-SIM 64GB Unlocked Smartphone for $299. Shipping is free. Amazon Prime Exclusive has Moto X (4th Generation) - with Amazon Alexa hands-free – 32 GB - Unlocked – Sterling Blue for $129.99. Shipping is free. 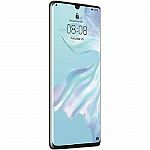 BHPhotoVideo has (New Release) Huawei P30 Smartphone (Unlocked) available. Shipping is free. No other smartwatch brand comes close. Hot watch! Get real. My fossil smartwatch kills this one. //@anonymous: No other smartwatch brand comes close. Hot watch! Of course your Fossil smartwatch kills this one. You don’t even have an iPhone to pair with the Apple watch 😂 //@anonymous: Get real. My fossil smartwatch kills this one. //@anonymous: No other smartwatch brand comes close. Hot watch! apple watch is awesome //@Anonymous: No other smartwatch brand comes close. Hot watch! MS once embeded a sp.yware hiding as a language file update in a chin.a goverment purchased windows version. but was found a backdoo.r in the file by Symentec and automaticly delete the file. then it caused more than 10 thoudsans gov computers unable to start the next morning. that is hilarious. Do you know this watch is not made by Microsoft? Hello? Anyone home inside that skull of yours? //@Anonymous: MS once embeded a sp.yware hiding as a language file update in a chin.a goverment purchased windows version. but was found a backdoo.r in the file by Symentec and automaticly delete the file. then it caused more than 10 thoudsans gov computers unable to start the next morning. that is hilarious. 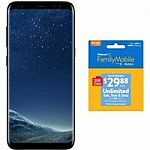 Walmart has Samsung Galaxy S8 Prepaid Phone Walmart Family Mobile Plans available. Shipping is free. U.S. logic. galaxy, 0 death but not safe on board. 737 max 300 death however very safe to flight. you're aware the 737 max fleet is grounded, right? sounds like reality doesn't seep very deeply into your thick skull. //@Anonymous: U.S. logic. galaxy, 0 death but not safe on board. 737 max 300 death however very safe to flight. NICE! Thanks! Love this watch. 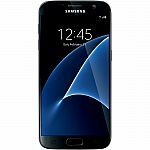 Walmart has Refurbished Straight Talk Samsung Galaxy S 7 4G LTE Prepaid Smartphone for $139.99. Shipping is free. of cause no //@Anonymous: unlock able? Galaxy S7 are supposedly unlocked out of the factory. //@Anonymous: unlock able? still better than backdoor.ed iphone //@anonymous: Galaxy S7 are supposedly unlocked out of the factory. //@Anonymous: unlock able? it is an awful phone. Never again, will get iphone next time. Can't go wrong with an iPhone! //@anonymous: it is an awful phone. Never again, will get iphone next time. 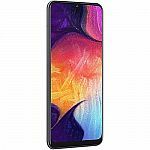 eBay has Samsung Galaxy S10e 128GB SM-G970F Dual Sim (Factory Unlocked) 5.8" Smartphone for $599.99. Shipping is free. This is Taiwan version. 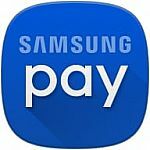 If you care, samsung account and service will be limited (i.e., samsung pay US bonus and promotions won't be available). All google service will work just fine. That's good to know information, thank you //@Anonymous: This is Taiwan version. If you care, samsung account and service will be limited (i.e., samsung pay US bonus and promotions won't be available). All google service will work just fine. I'd rather buy a refurbished LG G6 at the same price. 10x better camera, 3x better lcd, in too //@Anonymous: I'd rather buy a refurbished LG G6 at the same price. Have to wait 1-2 months ? Not a deal! Older model, but Samsung > Hua​wei for sure. 用华为手机，小心别把屁股炸掉了。 //@anonymous: Older model, but Samsung > Hua​wei for sure. It’s 207$ not 140!! Is it used?? Hahaha! //@anonymous: 用华为手机，小心别把屁股炸掉了。 //@anonymous: Older model, but Samsung > Hua​wei for sure. is this really "ANY" working phone? seems the details are only for specific phones and not $200 for all of them. It does there is one option there now //@anonymous: is this really "ANY" working phone? seems the details are only for specific phones and not $200 for all of them. There is an option "Trade-in any smartphone on iOS for $200" //@Anonymous: It does there is one option there now //@anonymous: is this really "ANY" working phone? seems the details are only for specific phones and not $200 for all of them. go to ebay to buy the 840 dollars Samsung 10+. it will be cheaper and nothing to trade in. Best Buy has 64GB Google Pixel 2 XL Smartphone (Verizon, Black) for $349.99. Shipping is free. Worst smart phone ever produced. The camera often crashes at the crucial moments I need it. I have never seen a phone in such bad quality. Series 4! Best smartwatch available! thank u. apple is number one! 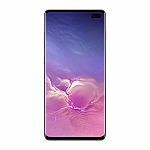 eBay has Samsung Galaxy S10 Smartphones on sale. Shipping is free. Look at how many sets they sold. It is a reputable seller. These phones are not US version but EMEA that are unlocked. Best Buy has Apple iPhone X 64GB Smartphone (Unlocked) for $650. Shipping is free. 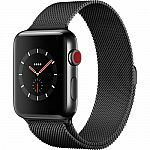 Walmart has Refurbished Apple Watch Series 4 GPS - 44mm - Sport Band - Aluminum Case for $329.99. Shipping is free. it's on the subject title. no need to repeat //@Anonymous: Refurbished! And you expect to buy a brand-new one at this price? //@Anonymous: Refurbished! Look at me, I'm selling refurbished items at a premium price and still rake in $$ as if they are falling from trees. Thanks to my loyal patrons don't care about their hard earned cash. Apple holds its value very well. Most of Android has a worse resale value. where is the hw boy? He's up your @as, little man //@anonymous: where is the hw boy? Mmmm, resale value depends on how many are available in the market, Because more people buy Android than apple, there is flood of used Android and hence used tend to be low priced, it is not because the they are cheap. It is supply and demand.... //@Anonymous: Apple holds its value very well. Most of Android has a worse resale value. You’re right on. Look at how much the bank new Android phone being markdowns by more than 50% of their list value. //@anonymous: Mmmm, resale value depends on how many are available in the market, Because more people buy Android than apple, there is flood of used Android and hence used tend to be low priced, it is not because the they are cheap. It is supply and demand.... //@Anonymous: Apple holds its value very well. Most of Android has a worse resale value. register in frys.com //@Anonymous: How to get the code? Will it work on my Apple iPhone? No It won't . This is designed few types of Motorola phones . //@Anonymous: Will it work on my Apple iPhone? NO //@Anonymous: Will it work on my Apple iPhone? Yes //@anonymous: Will it work on my Apple iPhone? How about my HP Touchpad? //@anonymous: NO //@Anonymous: Will it work on my Apple iPhone? I know. Wait for five years, it will be $5. //@Anonymous: $300 is too much. yes. should be $3000 //@Anonymous: $300 is too cheap! Believe, it is good deal. Spend more to get iPhone. You will thank yourself. like only 3x more? //@Anonymous: Spend more to get iPhone. You will thank yourself. 32MP selfie, i wonder what real P30 would have, 45mp? If you can't afford it, you can get an older generation. You'd still be happy that you didn't get stuck with a Hua​wei. //@Anonymous: like only 3x more? //@Anonymous: Spend more to get iPhone. You will thank yourself. crazy apple fanboy still lives in old days.. //@Anonymous: If you can't afford it, you can get an older generation. You'd still be happy that you didn't get stuck with a Hua​wei. //@Anonymous: like only 3x more? //@Anonymous: Spend more to get iPhone. You will thank yourself. agree. camera is no good enough to justify the high price range. //@anonymous: $300 is too much. only suckers pay this much //@anonymous: agree. camera is no good enough to justify the high price range. //@anonymous: $300 is too much. What happened in Tiananmen Square 30 years ago today? If you were raised on censored history, you have no idea. I buy iPhone . no trust in hooway product. Hooway not safe for you //@anonymous: If you can't afford it, you can get an older generation. You'd still be happy that you didn't get stuck with a Hua​wei. //@Anonymous: like only 3x more? //@Anonymous: Spend more to get iPhone. You will thank yourself. Thanks. Got one. Unfortunately, peacock blue is out of stock. you have mental problems. //@Anonymous: I buy iPhone . no trust in hooway product. Hooway not safe for you //@anonymous: If you can't afford it, you can get an older generation. You'd still be happy that you didn't get stuck with a Hua​wei. //@Anonymous: like only 3x more? //@Anonymous: Spend more to get iPhone. You will thank yourself. LOL, you are poisonous snake. //@Anonymous: What happened in Tiananmen Square 30 years ago today? If you were raised on censored history, you have no idea. what happened with America 11 years ago when they voted with the comunist party and worst president ever? //@Anonymous: What happened in Tiananmen Square 30 years ago today? If you were raised on censored history, you have no idea. Would rather save money for the foldable phone. cheap phone, never see any one use it. 这些信息是被禁止的。 中国人不读！ //@Anonymous: What happened in Tiananmen Square 30 years ago today? If you were raised on censored history, you have no idea. 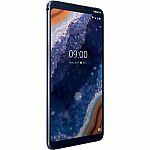 Best Buy (AT&T) has LG G8 ThinQ Black 128GB Smartphone for $0/Month for 30 months with New Line or New Account. Shipping is free when released on 04/12/2019. Looks like a 2018 phone released in 2019. So lame. I switched from samsung to LG. These LG phones are better in many ways. Battery, audio DAC, camera, button location, etc. LG from now on! //@Anonymous: Looks like a 2018 phone released in 2019. So lame. LG is the worst. Stay away. LG has horrible customer service. 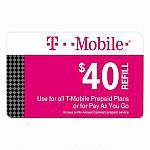 Target has Buy One Get One 30% Off Select Prepaid Phone Card: T-Mobile, AT&T, Cricket and more. Extra 5% off & free shipping with Target RedCard. tracfone gives you card and phone for $50-60, good for a year, can add service as you go. had this phone for over a year now. like most of the things this phone offers except the battery, will not last for 2/3 of the day and I am not even a heavy user. Best Buy has 50% Off Select Moto Mods. Shipping is free. did this concept fail in the market? I have moto z2 force and a few moto mods - speaker, projector. The design is great and they all work very well. The problem is the phone quality. Camera on phone is not so good and front camera collects dusts. It is pity that Moto seems have good quality low end phones but high end is not so impressive. Not failed,it is just over price. //@anonymous: did this concept fail in the market? Can it work with HP Touchpad? Target (In-store) Offers Up to $200 Gift Card for Samsung Galaxy S10 Purchase (AT&T / Verizon). 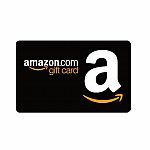 Sprint is offering $2 Amazon Gift Card for FREE via My Sprint Rewards App. Get it Android or iOS. On your My Sprint Rewards App Home Screen click "Sprint Rewards"
Select the $2 Amazon Gift Card Offer > Click "Redeem"
Do you have to have a Sprint number to get it? Amazon has 64GB Samsung Galaxy S8 Unlocked (US Version) for $395. Shipping is free. You can buy from ebay for just $350 or cheaper without tax. Because you purchase it from Amazon //@Anonymous: 396。Deal ? Why ? I would agree with everyone else this is not a deal. Yeah I don't trust shady ebay sellers--one $400 purchase gone wrong would negate years of savings from shopping on ebay. This is a good price for an older "flagship"
Its better to buy from samsung . Most of the ebay doesnt come with warranty. bought one 3 months back. its gone. now its not at all charging. 3 years ago i help my cousin bought an iphone 6S (100$ cheapter than apple) from ebay. and she used it for almost 2 years, battery issue, she went to a store to replace battery. when the guy open the iphone, all scratch inside the phone. i bought this phone from a very nice review seller like at least 20000 reviews already, normally you won't open your new phone, but they are selling old phone as new. never want to buy another phone from ebay anymore. //@Anonymous: Yeah I don't trust shady ebay sellers--one $400 purchase gone wrong would negate years of savings from shopping on ebay. This is a good price for an older "flagship"
This same phone was $359 on Feb 22 (last month). Quick, to the time machine! //@anonymous: This same phone was $359 on Feb 22 (last month). 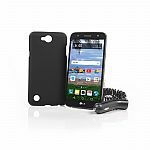 Tracfone via eBay is offering select cell phone bundles with Buy 1 Get 1 FREE. Shipping is free. Be careful: LG Fiesta 2 needs to be activated in 30 days. I was told it can be activated within one year of purchase. Do you get 2 or 1!? 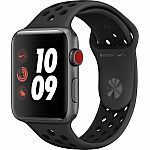 BHPhotoVideo has select Apple Watch Series 3 Smartwatch (GPS + Cellular) on sale. Shipping is free. Can someone ban hua wei boy? //@anonymous: Hua.wei boy again? Give it a rest! //@Anonymous: too expensive for kids. Hua.wei boy again? Give it a rest! //@Anonymous: too expensive for kids. Girls and women watch. Not men style at all. n..s..a boy? //@anonymous: Hua.wei boy again? Give it a rest! //@Anonymous: too expensive for kids. No free speech anymore? //@anonymous: Can someone ban hua wei boy? //@anonymous: Hua.wei boy again? Give it a rest! //@Anonymous: too expensive for kids. Free speech and getting banned on a website for obnoxious behavior are not related to each other. You're still free to rant all you want on a street corner even if you can't do it on Dealsea. //@Anonymous: No free speech anymore? //@anonymous: Can someone ban hua wei boy? //@anonymous: Hua.wei boy again? Give it a rest! //@Anonymous: too expensive for kids. who define obnoxious behavior? is it you? //@anonymous: Free speech and getting banned on a website for obnoxious behavior are not related to each other. You're still free to rant all you want on a street corner even if you can't do it on Dealsea. //@Anonymous: No free speech anymore? //@anonymous: Can someone ban hua wei boy? //@anonymous: Hua.wei boy again? Give it a rest! //@Anonymous: too expensive for kids. I agree. You are obnoxious. //@anonymous: who define obnoxious behavior? is it you? //@anonymous: Free speech and getting banned on a website for obnoxious behavior are not related to each other. You're still free to rant all you want on a street corner even if you can't do it on Dealsea. //@Anonymous: No free speech anymore? //@anonymous: Can someone ban hua wei boy? //@anonymous: Hua.wei boy again? Give it a rest! //@Anonymous: too expensive for kids. you are wrong. People who slander hua.wei and cover n.s..a sp.y activity are obnoious. So it is you who are obnoious. LOL //@anonymous: I agree. You are obnoxious. //@anonymous: who define obnoxious behavior? is it you? //@anonymous: Free speech and getting banned on a website for obnoxious behavior are not related to each other. You're still free to rant all you want on a street corner even if you can't do it on Dealsea. //@Anonymous: No free speech anymore? //@anonymous: Can someone ban hua wei boy? //@anonymous: Hua.wei boy again? Give it a rest! //@Anonymous: too expensive for kids. I got watch 3 (38mm) for 199$. Target had it for sale last weekend but out of stock. Went to Bestbuy and they did a price match. If you are patient, this deal will come back. You can go to target or bestbuy and get it for 199$+tax. Motorola has 64GB Motorola Moto Z2 Force Edition Sprint Smartphone (Fine Gold) + JBL Soundboost 2 Moto Mod for $150. Shipping is free. Does it work for other carriers than sprint? If you are having troubles adding to cart, it is out of stock. can you use this one for freedom pop? Yes, you can. Freedom pop uses AT&T signals. //@anonymous: can you use this one for freedom pop? Samsung has Galaxy S10 + $130 eCertificate available for Preorder. Shipping is free. Ask our rich parents buy it. //@anonymous: $1000 phone for students? Helicoper Dad&Mom, please drop some c-notes. Overpriced phone.Wait for the price drop in 3 months. Stop it, Huaiwei boy! //@anonymous: Overpriced phone.Wait for the price drop in 3 months. s.t.f.u. samsung clown //@Anonymous: Stop it, Huaiwei boy! //@anonymous: Overpriced phone.Wait for the price drop in 3 months. thanks dealsea! 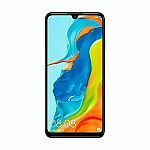 with student discount, u can get $130 eCertificate for S10e order, which you can apply towards the purchase of galaxy bud later when it restocks. I cancelled my s10 order and re-ordered s10e for student discount and free certificate. one thing thou, is that the student discount is adjusted to only $15 (employee discount) during check out procedure.. wierd. Hua Wei boy has expanded from whining about Apple? Ruining this whole website! //@anonymous: Stop it, Huaiwei boy! //@anonymous: Overpriced phone.Wait for the price drop in 3 months. go away n.s..a sp.yboy. both hua.wei and samsung are good phone. Stay away from iPhone which has sp.yware embeded according to former n.s..a employee Snowden. sp.yware name is drop.out.jeep. Just google it. go away n.s..a sp.yboy. both hua.wei and samsung are good phone. Stay away from iPhone which has sp.yware embeded according to former n.s..a employee Snowden. sp.yware name is drop.out.jeep. Just google it. //@anonymous: Stop it, Huaiwei boy! //@anonymous: Overpriced phone.Wait for the price drop in 3 months. Give it a rest, boy. Nobody wants your whining here. We want information on the deals. //@Anonymous: go away n.s..a sp.yboy. both hua.wei and samsung are good phone. Stay away from iPhone which has sp.yware embeded according to former n.s..a employee Snowden. sp.yware name is drop.out.jeep. Just google it. go away n.s..a sp.yboy. both hua.wei and samsung are good phone. Stay away from iPhone which has sp.yware embeded according to former n.s..a employee Snowden. sp.yware name is drop.out.jeep. Just google it. //@anonymous: Stop it, Huaiwei boy! //@anonymous: Overpriced phone.Wait for the price drop in 3 months. 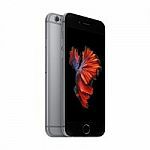 Walmart has Straight Talk Apple iPhone 6s Prepaid Smartphone with 32GB for $149.99. Shipping is free. Walmart has Straight Talk Apple iPhone SE 32GB Prepaid Smartphone for $139. Shipping is free. Does anybody know is it a unlocked phone? Unlocked? Can it be used in Asian countries? Straight talk needs you to be on their plan for 12 months //@Anonymous: Unlocked? Can it be used in Asian countries? You can unlock it via Rsim 13 and use it in Asia countries or Tmobile/ATT. //@Anonymous: You can unlock it via Rsim 13 and use it in Asia countries or Tmobile/ATT. How is this a deal. 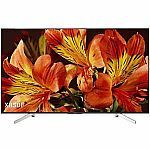 $500 off original price $1249. what a deal! /s //@anonymous: How is this a deal. Safer than U.S. made boeing 737 max. You are a dumb @ss to think it is a deal //@anonymous: $500 off original price $1249. what a deal! /s //@anonymous: How is this a deal. Why so rude? //@Anonymous: You are a dumb @ss to think it is a deal //@anonymous: $500 off original price $1249. what a deal! /s //@anonymous: How is this a deal. hahaha //@Anonymous: Safer than U.S. made boeing 737 max. And far safer than Comac planes, which are not only a risk to life, but sp.y on you even when they don't crash. //@Anonymous: hahaha //@Anonymous: Safer than U.S. made boeing 737 max. So you'd rather die than risk getting spied on? Please shove that keyboard up your skull then tw-dog. //@anonymous: And far safer than Comac planes, which are not only a risk to life, but sp.y on you even when they don't crash. //@Anonymous: hahaha //@Anonymous: Safer than U.S. made boeing 737 max. it’s a dead deal dear //@anonymous: deal is dead? 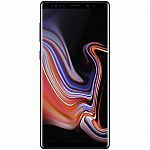 BHPhotoVideo has Nokia 9 PureView TA-1082 128GB Unlocked Smartphone + Free mophie 10,500mAh Portable Power Bank for $599. Shipping is free. Samsung is definitely better, no matter what iPhone gal says. Samsung is better explosively //@anonymous: Samsung is definitely better, no matter what iPhone gal says. Samsuck is the best of all! your mom samsuck //@Anonymous: Samsuck is the best of all! to dealsea, please read all the comments below and consider disabling the comments, please. Prism, Prism on the wall, who is the most trustworthy of them all? these comments are posted by the editor of dealsea //@anonymous: to dealsea, please read all the comments below and consider disabling the comments, please. You're a moron, and you don't realize that the comments are posted by one deranged person everyone calls Hua-wei Boy; and the other comments are from people that are laughing at Hua-wei boy. //@Anonymous: these comments are posted by the editor of dealsea //@anonymous: to dealsea, please read all the comments below and consider disabling the comments, please. Nokia, huh? I thought they were only doing the bar soap phone with physical buttons. Only a small number of small-brained people don’t understand this. //@anonymous: You're a moron, and you don't realize that the comments are posted by one deranged person everyone calls Hua-wei Boy; and the other comments are from people that are laughing at Hua-wei boy. //@Anonymous: these comments are posted by the editor of dealsea //@anonymous: to dealsea, please read all the comments below and consider disabling the comments, please. @Best Buy. Shipping is free. 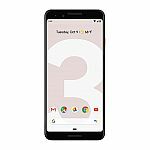 (Back) Target has Google pixel 3 for $349.99 or Google pixel 3 XL for $449.99 for new Verizon line or upgrade. In-store only. for upgrade why it said "Requires new line of service with device financing. " does it really need a new line? not quite sure why it’s so hard to understand. "If customer cancels service, the remaining balance of the device will be due." What happens when you cancel the service? What does the "remaining balance" exactly mean? Bcoz you need to pay the hidden monthly cost. Otherwise they will uncover it to you. //@moregoods: "If customer cancels service, the remaining balance of the device will be due." State-of-the-art phone I would say but I need to wait till the price drops. I agreed it is a very nice phone. The price is out of reach for alot of people. //@anonymous: State-of-the-art phone I would say but I need to wait till the price drops. Not US version means no Snapdragon CPU, no Samsung Pay deals in US. Looking at Samsung’s history, it won’t take much longer to have the price halved. Had S9 for $320 this Black Friday at VZ. //@anonymous: I agreed it is a very nice phone. The price is out of reach for alot of people. //@anonymous: State-of-the-art phone I would say but I need to wait till the price drops. i never thought i can get this phone below $1k. all in! @Verizon Wireless: Bring an unlocked Razer Phone 2, get a $250 Prepaid Mastercard. what's new? it has V30 spec, was $300 last week, no notch. 845 vs 835 //@Anonymous: what's new? it has V30 spec, was $300 last week, no notch. If you or your company have security concerns, then LG is preferable over Hua​wei, Lenovo or ZTE. LG doesn't come with built-in sp​yware or back​doors. If you like the ghost touch, go for LG. I won't buy LG again. //@anonymous: If you or your company have security concerns, then LG is preferable over Hua​wei, Lenovo or ZTE. LG doesn't come with built-in sp​yware or back​doors. These other phones don't have backdoors either. You are simply trying to use entirely false accusations to promote LG phones. //@anonymous: If you or your company have security concerns, then LG is preferable over Hua​wei, Lenovo or ZTE. LG doesn't come with built-in sp​yware or back​doors. I think you’re wrong and the original comment was correct. Those companies are known to plant bad software in their products. //@anonymous: These other phones don't have backdoors either. You are simply trying to use entirely false accusations to promote LG phones. //@anonymous: If you or your company have security concerns, then LG is preferable over Hua​wei, Lenovo or ZTE. LG doesn't come with built-in sp​yware or back​doors. 430 was the lowest i have seen on this phone. Where did you see for 300? //@anonymous: what's new? it has V30 spec, was $300 last week, no notch. who told you LG had no security issue? you should remember Mr. Snowden if smart enough. //@anonymous: If you or your company have security concerns, then LG is preferable over Hua​wei, Lenovo or ZTE. LG doesn't come with built-in sp​yware or back​doors. Yesterday's 15% off was better, but that excluded tech items.